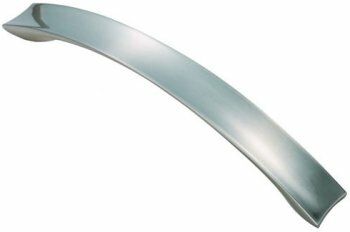 Concave bow cabinet handle available in 128mm & 160mm centre to centre fixings. 128mm fixing centres, 162mm overall length, 24mm projection. 160mm fixing centres, 202mm overall length, 30mm projection.